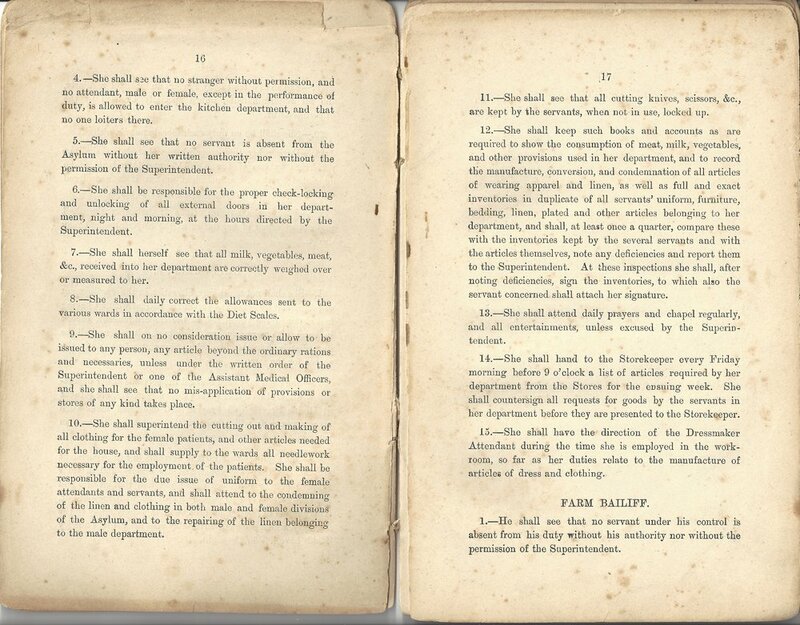 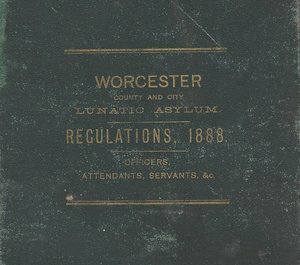 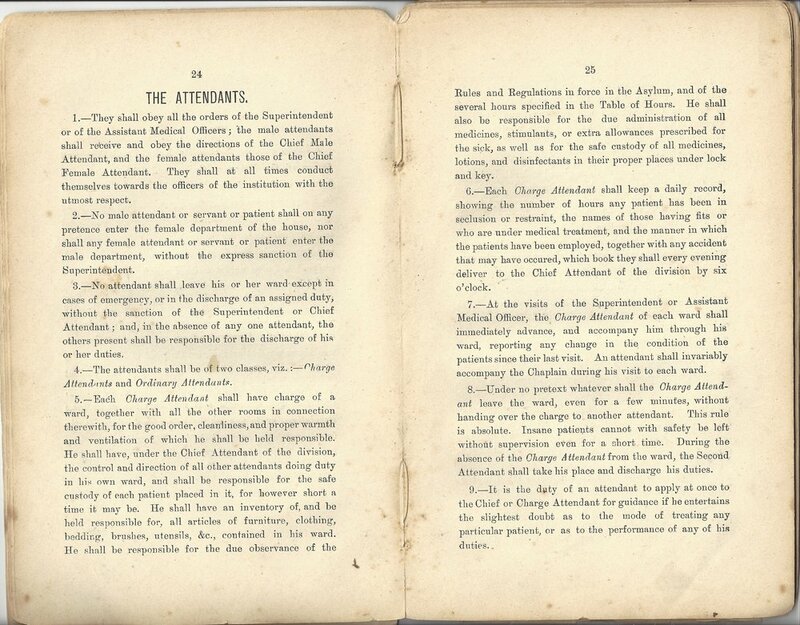 The Worcester County and City Lunatic Asylum Regulations, 1888 for Officers, Attendants, Servants, etc. 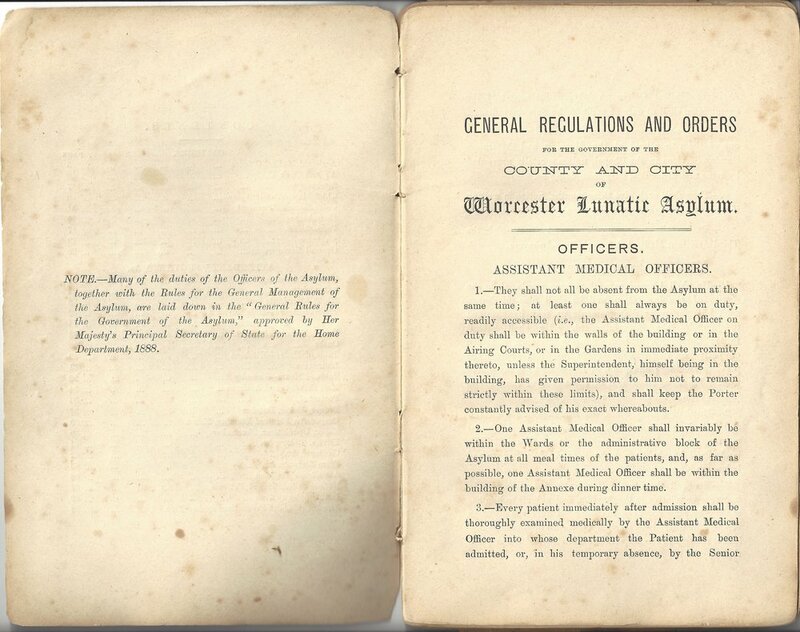 Donated to the Museum in 2016 after our evening of talks "Mental Health Matters", this book includes the General Regulations and Orders for the Government of the County and City of Worcester Lunatic Asylum (as was in 1888). 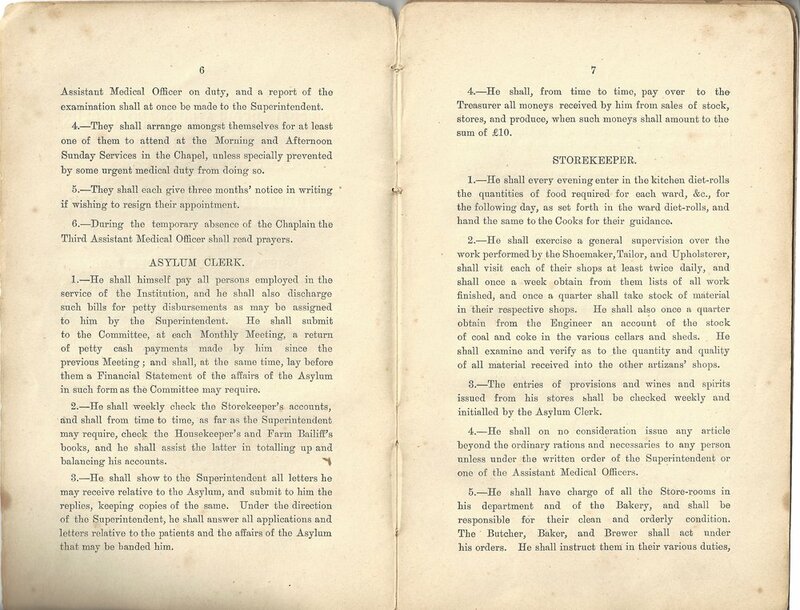 This book includes all rules and hours to be observed by those working in the hospital and gives the rare chance to view the hospital from the viewpoint of those working there. 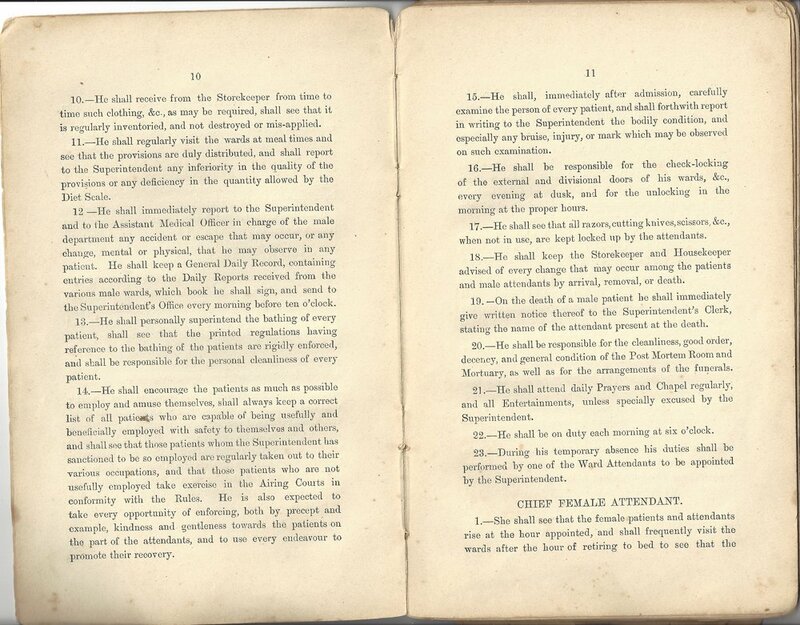 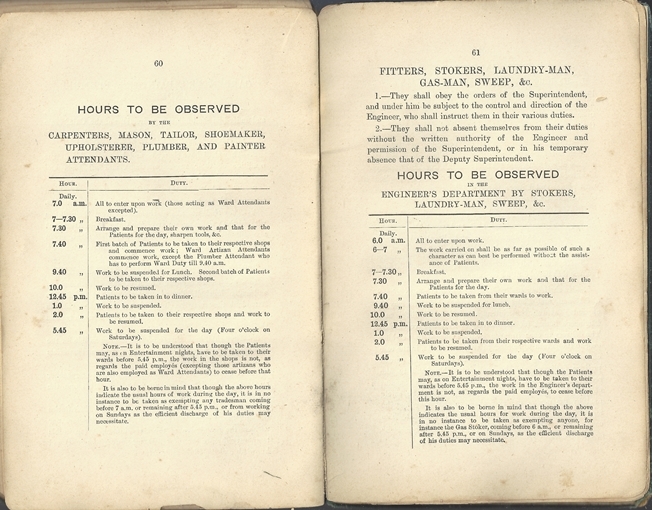 Rules include those for: the male and female division, the kitchens and laundry and the hours to be observed for the Ringing of the Bell. 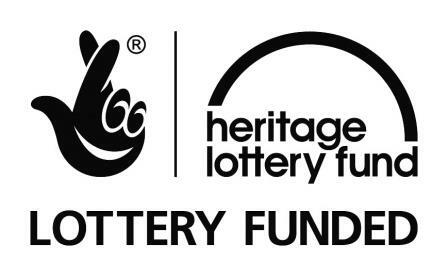 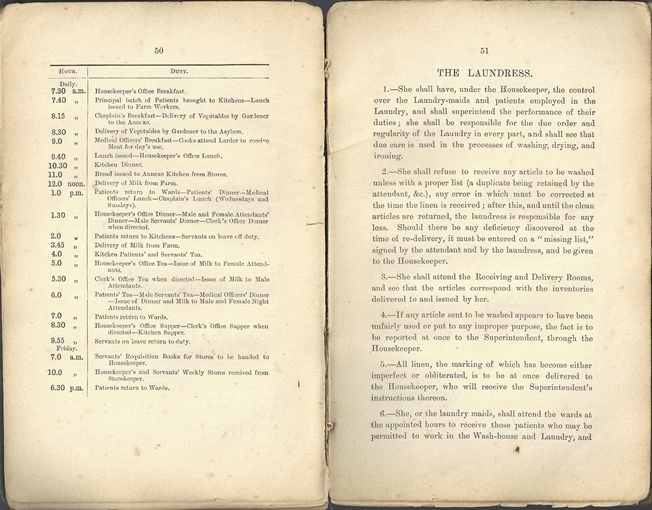 It also includes the hours for the storekeeper's department, the brewer, baker, butcher, carpenters, mason, tailor, shoemaker, upholsterer, plumber and painter attendants, the engineer's department by stokers, laundry-man, sweep, etc., gardeners, farm servants, water supply man and farm and garden attendants. 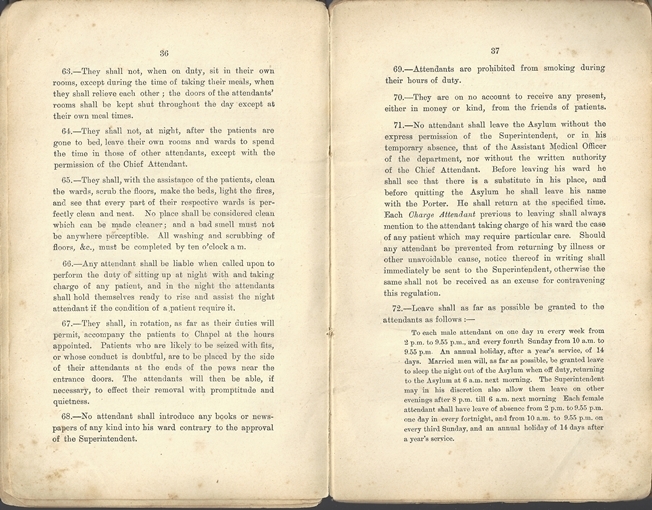 All images on this page are copyright Charles Hastings Education Centre. 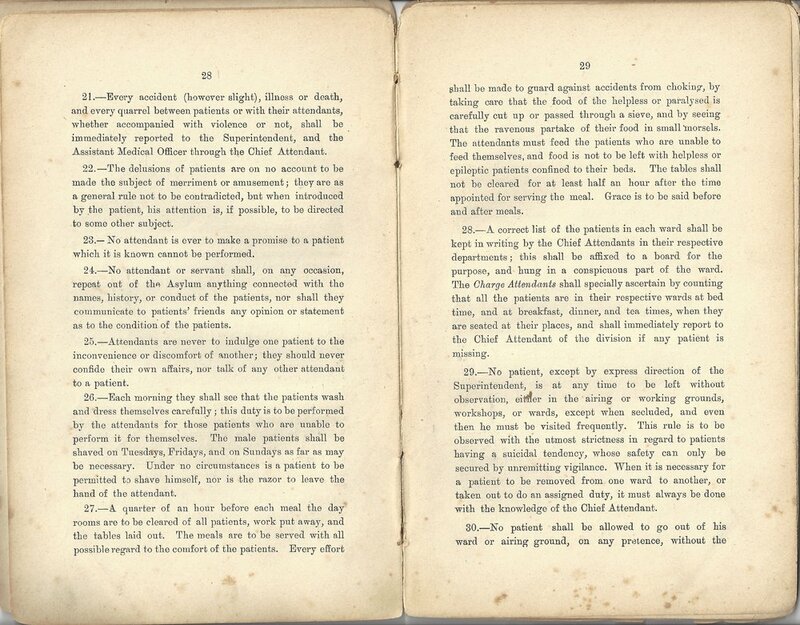 If you would like a closer look at the book or to use the book for research purposes, please contact the Curator of the George Marshall Medical Museum.